This 1994 Redman home, has so much to offer! recently placed on this nice corner lot giving you a lot of parking area. 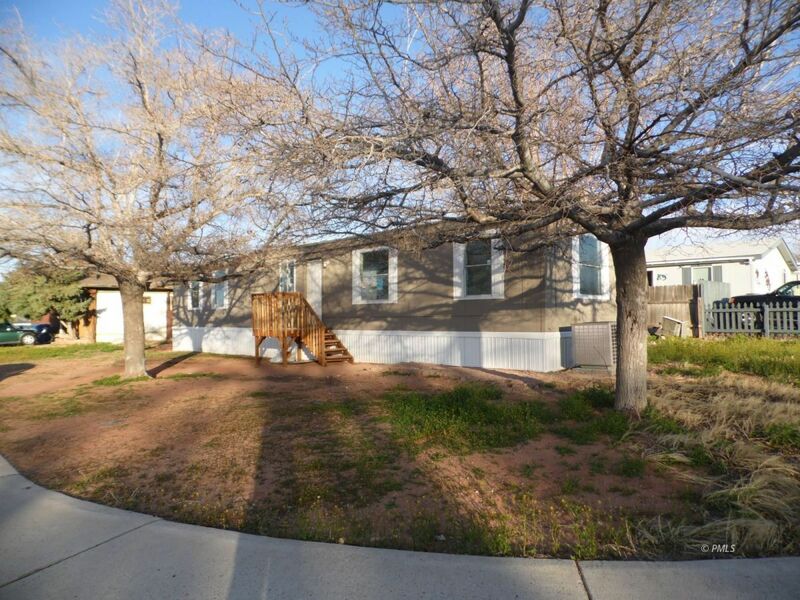 the home has approximately 840 sq ft of living area, has two bedrooms and two full baths. New carpet in both bedrooms, tile floor throughout including in both bathrooms. This home has new granite bathroom counters and new faucets and new tub/shower enclosures! Laundry area in hall and eat in dining area.Kitchen has new counters, a glass top range dishwasher and fridge and pantry. Home also has a heat pump and has recently been painted. New front and rear decks and storage shed and 20x20 concrete parking pad. Perfect investment property or first time home. Call me today to see this home!